In case you haven’t heard, last weekend was Memorial Day weekend. And apparently, lots of fabric sites have huge deals that weekend. Soooooo I may have stocked up on enough fabric to make 4 or 5 darling baby quilts on Craftsy. One of my more exciting acquisitions was a few charm packs of Riley Blake Wildflower Meadow fabric. 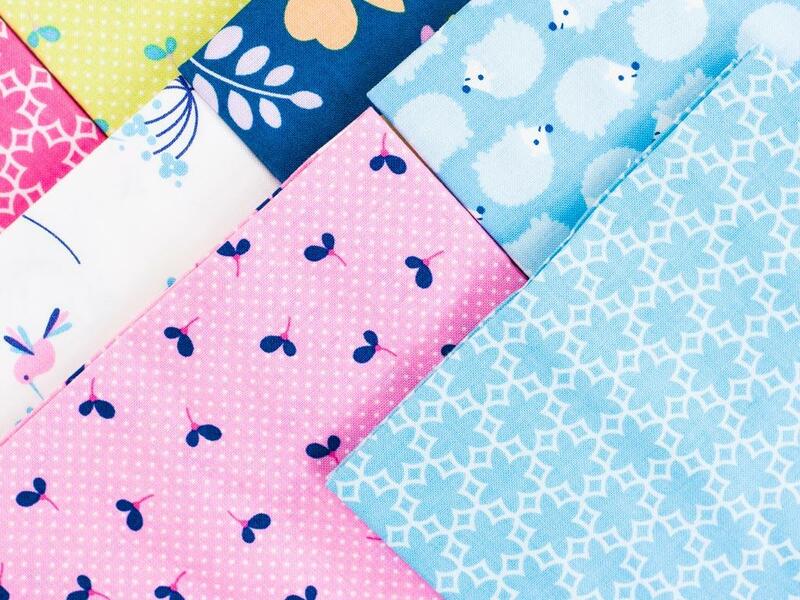 I was so excited for these fabrics that I went and designed a few more baby quilts! I almost had to; I can use the same fabric but I hate doing the same pattern. So what are these fabrics going to be turned into, you may ask? Well, wonder no more! Here are a couple more baby quilt designs I made on EQ7 today during my lunch break. 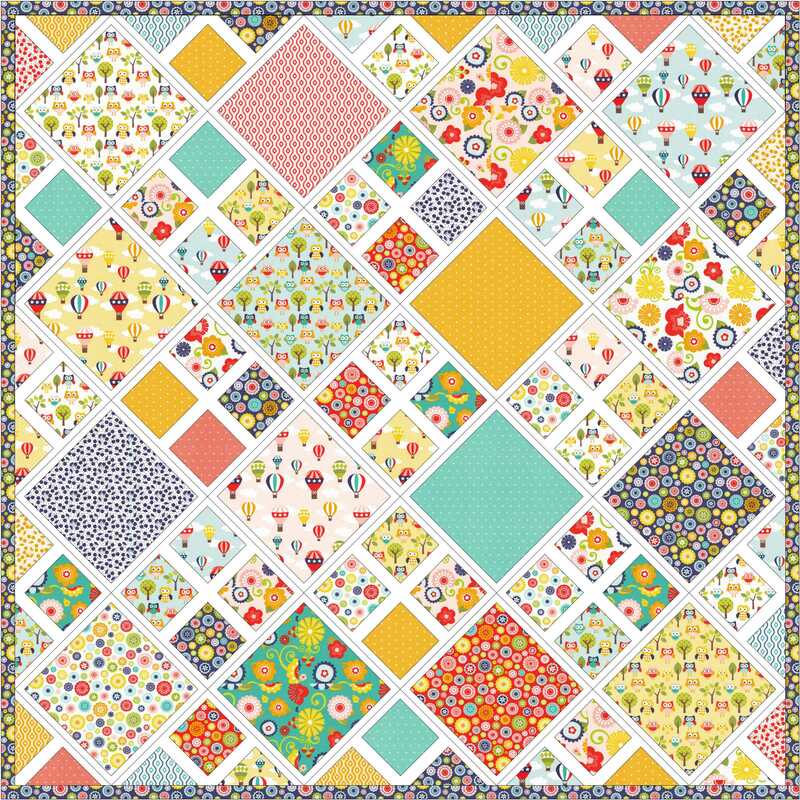 This one won’t work with the charm packs up top, but I also bought a layer cake of Kansas Safari Playground fabric (great for a little who loves animals, and not as girly as most fabrics you see out there), and this design will be absolutely perfect to use up one layer cake. My problem is now I have to work on getting the white fabric for the sashing in between the squares. I’ve also never done the rows on a diagonal like this quilt displays, so it will definitely be a learning experience for me! 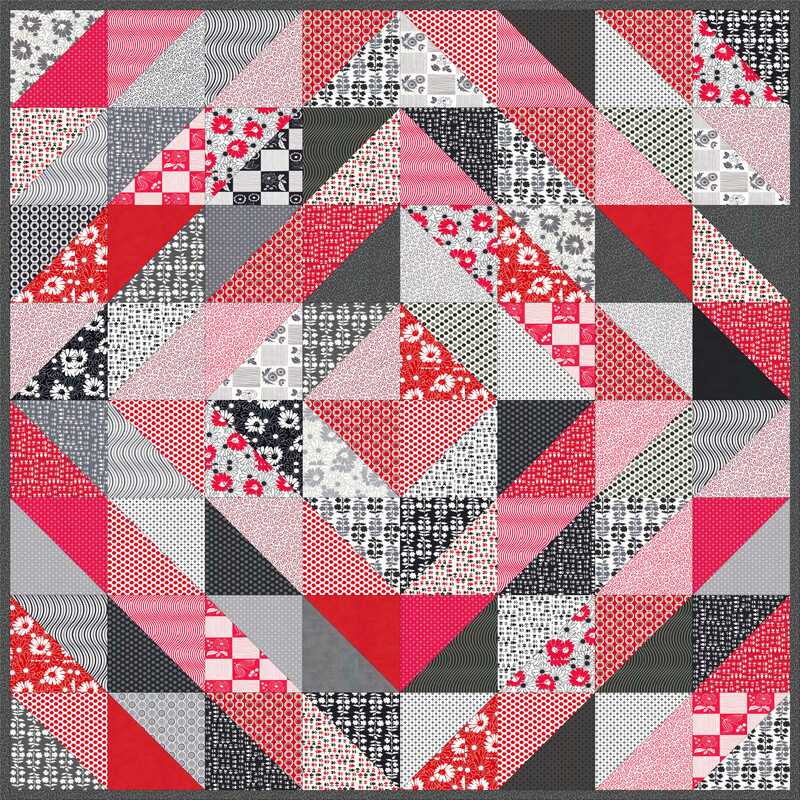 The second quilt design favors HST (half square triangles). Dan thinks the coloring on this one is too busy, but for some reason I really enjoy the blue and the gold/yellow working together. 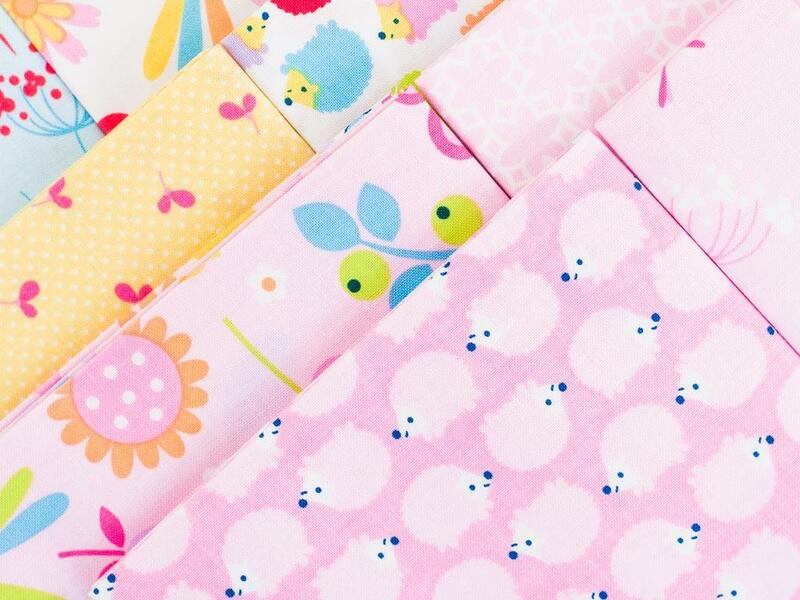 I’m not getting that particular fabric though, so it will probably turn out more pink/light blue themed due to the charm packs I mentioned above. But, after I created this quilt with the HST, I really liked the look of it so I decided to play around a little bit and see if I could make something a little more adult themed. 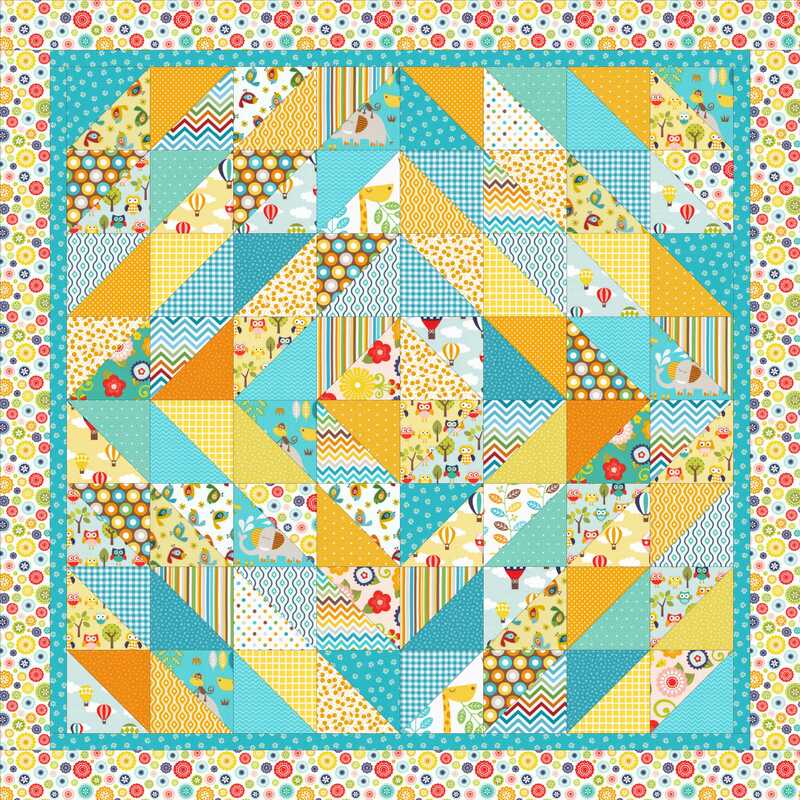 And that is when my favorite quilt I’ve made in EQ7 so far was born. Take a look! Not only did I design this in EQ7, but I managed to find the same fabric online, and for an absolute steal. So, of course, I had to buy it. This quilt will be much, much larger than the baby quilt; I bought a couple of layer cakes for this quilt, so its final measurements will be along the lines of 80” x 80”. I’m tempted to add a border to it to bring it up to a queen-sized quilt. What do you think? Let me know in the comments! Video Game Quilt Design – Minecraft! Yes, add more to make a queen size!